Put your smartphone in DOZE faster and get longer life from a single charge Naptime Android App. This is exactly what Naptime from Francisco Franko is doing, this little app is simple but triggers the DOZE function from your Android OS as soon as possible to save you every one bit of power it can. 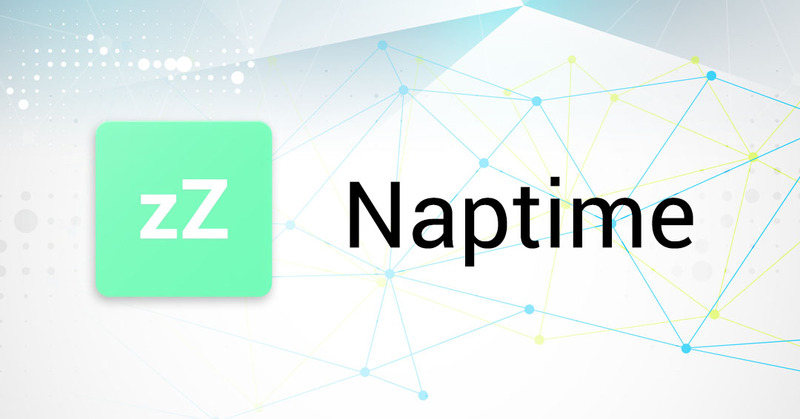 One of the latest releases for Naptime was the ability to trigger Doze without the need for root. Yeah, Naptime used to be an app that required you to have a rooted device, but with the latest changes in Android, Naptime can run on devices Rootless. Because why the hell not? Doze is amazing – arguably the best feature of Android™ Marshmallow, Nougat and Oreo. But with its caveats. It can take at least 2 hours to kick in (if the device is stationary, not charging etc). If you move around, even with the screen off, doze won’t kick in, so there are a lot of potential battery saving opportunities lost, gone with the wind. With Naptime, by toggling in the “Aggressive doze” options (and assuming you’re rooted) Doze will kick in right after you screen off AND it disables your sensors so that it doesn’t kick you out from doze mode if you move around. When your device screens on everything goes back to normal. It’s just like magic. You can also see the log of each state. After these two permissions are granted you’ll be able to use Naptime freely. Voilà we are done with Naptime. This should save you some serious life for your device.